New Delhi, 8th February 2017: As Delhi’s favourite premium shopping destination DLF Promenade turns eight this February; the mall is holding no stops in celebrating the month of love. The best way of doing this of course is by showering some love on our shoppers and brands as well. A variety of activities and promotions are on at the mall through the month. Commemorating the Malls 8th anniversary on February 9th – eight highest shoppers during the promotion period will receive beautifully curated gift hampers including Swarovski Jewellery, Sula Wine and much more. Additionally, two lucky couples will receive a complimentary stay at the Hotel - The Grand. 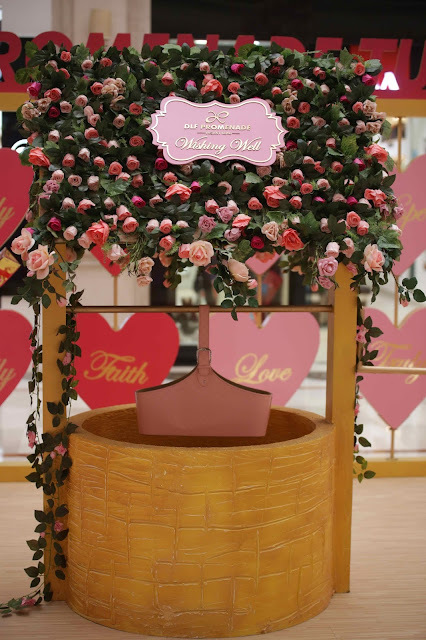 Apart from this; the mall has created a beautiful fairy-tale inspired wishing well for customers who shop for INR 20,000/- and above. The wishing well is loaded with assured gifts and goodies from our brand partners and the registered customers can also take part in interactive activities. We have set up a DIY paper weight making booth for couples and also assured surprise mystery gift bags for patrons shopping above INR 10,000/-. 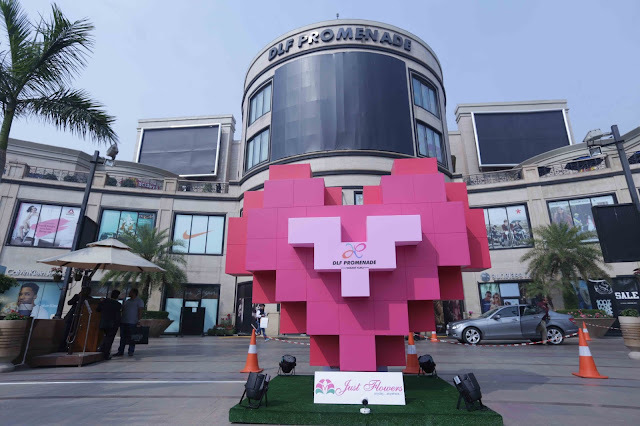 It has been transformed to create a classic romantic ambience with the pixelated heart installation at the mall entrance as well as the love seat adorned with flowers making for the perfect couples’ selfie corners. The atrium area displays a beautiful set up of Heart Chimes, the concept which has been derived from the rotating prayer wheels at Buddhist Monasteries. Customers can swing them with a prayer for their loved ones as each heart bears inspiring words like Love, Faith and Believe. DLF Promenade will be organising a special Valentine’s Market from Feb 10th – 14th at The Hub exhibiting the best of fashion, food and gift items to indulge yourself and your loved ones. The mall has curated a gifting guide for Valentines featuring some of the best options from DLF Promenade for you to make the day a memorable one! A mall for the trend-conscious, by the virtue of its offerings, DLF Promenade has earned the distinction of being the city's only fashion destination. The mall caters to customers who are looking for a quality shopping experience coupled with a chic ambience. DLF Promenade not only boasts of some of the best brands in the fashion retail industry, it also offers some rather exclusive value additions. Housed in the mall are Kiddyland – the largest outdoor play area for kids, The Hub – a one of a kind open air lifestyle space comprising cafés, dancing fountain and the city's largest LED screen. With its strong anchors like Zara, Marks & Spencer, PVR Icon Cinemas and the Eat Food Lounge, DLF Promenade completes the mall experience for all its patrons. In addition to its fashion and beauty portfolio, the mall offers a strong mix of F&B brands. Offering a 360 degree shopping experience, DLF Promenade never fails to offer you your next moment of fashion.